NEWS : Announcement - EOS Asia Remediation Co., Ltd.
EOS ASIA Remediation Co., LTD. Announces the Acquisition of Asian Assets of EOS Remediation, LLC. 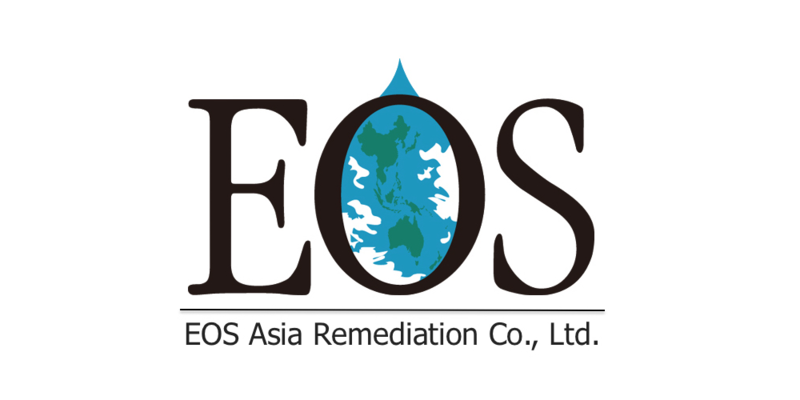 Kaohsiung City, Taiwan (February 16, 2017) – EOS ASIA Remediation Co., LTD (EOS ASIA) announced today that they have completed an agreement to acquire the rights for the manufacture and sale of the EOS® technology and products for the Asian and Australian territory from EOS Remediation, LLC. In the 5 years preceding this agreement, EOS® technology and products have been widely applied for groundwater remediation projects in Taiwan through its exclusive distributor J&L Environmental Technology Co., LTD (J&L). The strong and successful relationship between EOS Remediation and J&L has been key to bringing about this new company, EOS ASIA. EOS Remediation will retain all American, European, Middle Eastern, and African rights to the EOS® technology and will provide continuous support for EOS ASIA. EOS ASIA, as a newly formed company with close ties to J&L, will own, make and distribute the EOS® Remediation Brand throughout Asia and Australia. J&L remains the exclusive distributor in Taiwan and owns partial distributorship in China of EOS® technologies and products. “EOS ASIA is elated that this opportunity has presented itself to sustain and strengthen the EOS Brand throughout Asia-Pacific region including Australia and New Zealand, and we are looking forward to a long-standing business relationship with both EOS Remediation and J&L, said Mr. Chi Chang, the CEO of EOS ASIA. EOS ASIA, with its new production base located in Taiwan and Australia, aims to provide better services with lower cost and shorter lead-time for EOS® customers located in the following countries or regions: Taiwan, China, Japan, South Korea, Philippines, Vietnam, Cambodia, Thailand, Laos, Singapore, Malaysia, Indonesia, Papua New Guinea, Australia and New Zealand. EOS Remediation, LLC is a global leader for in situ bioremediation products and support. Driven by research and development, EOS Remediation, LLC has an extensive family of products to meet a variety of project needs. A focus of the woman-owned small business is to provide personal and reliable service, cost effective products and proven results. EOS Remediation, LLC is headquartered in Raleigh, NC near Research Triangle Park. For more information, please visit www.eosremediation.com. J&L Environmental Technology Co., LTD is a professional engineering company specializing in soil and groundwater contamination investigation, assessment, and remediation in Taiwan. Since establishment in 1999, J&L has introduced innovative technologies and equipment for subsurface environmental investigation and remediation. J&L had completed more than 200 site-specific remediation projects for public and private enterprises.